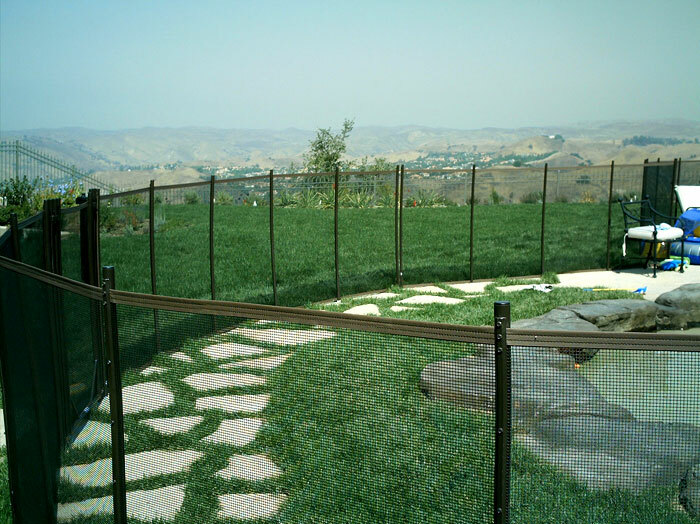 Our fences are climb-resistant and have a self-latching gate. This gives you the best in security features. 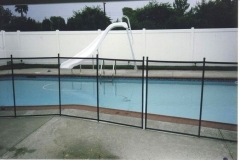 ChildGuard ® offers the best do it yourself pool fence systems. 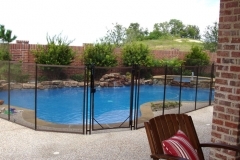 Our pool fences have some of the best designs and innovative features. 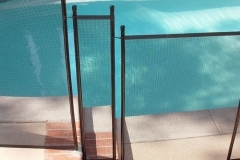 These ensure pool safety year round. 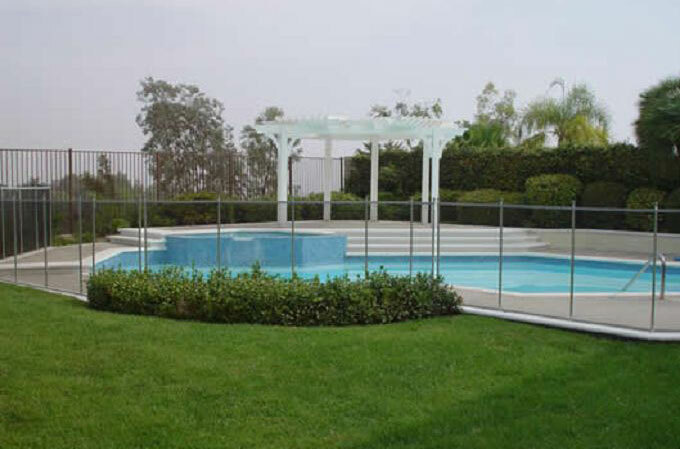 For starters, the pool fences are removable. This is great in that it provides portability if you ever needed to move it. 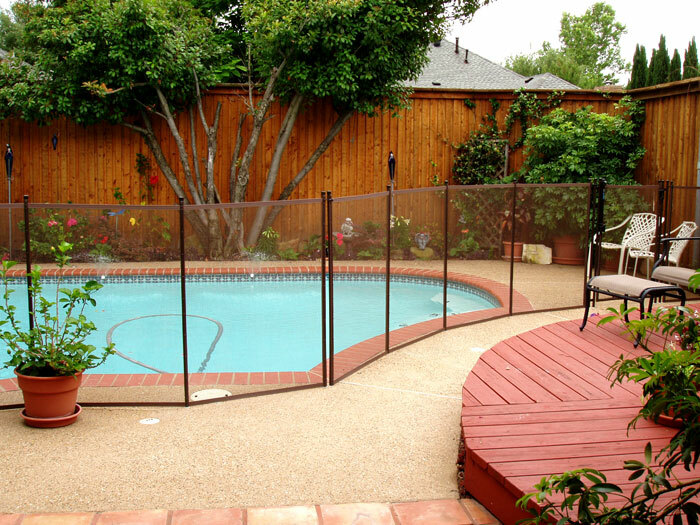 Further, this do it yourself pool fence is easy to install. 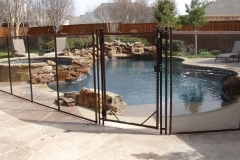 The pool gates are self-closing and self-latching. 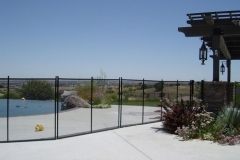 It also is climb resistant as it has no crossbar on the fence or gate. 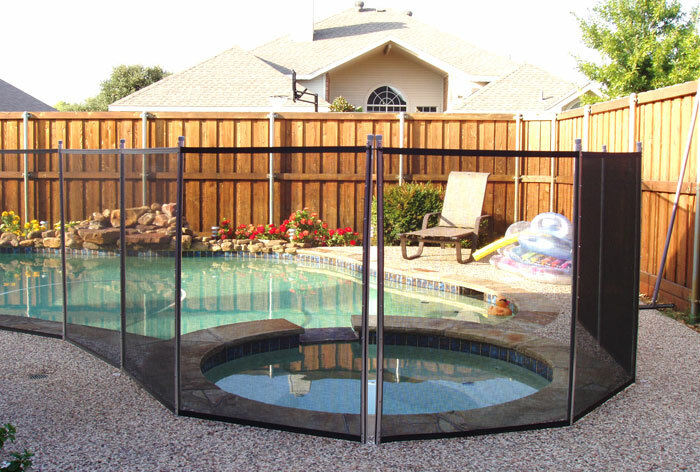 These features ensure your children remain safe and cannot gain access to the pool through the gate. 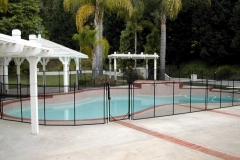 The gallery has multiple pictures of our do it yourself pool fence systems. 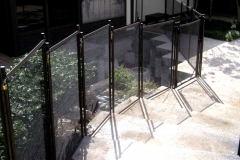 These illustrate how versatile our fences are and how they can accommodate a range of different sizes. 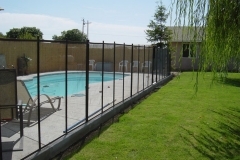 The pictures also show the quality construction and how easy it is to place a fence system around your pool. 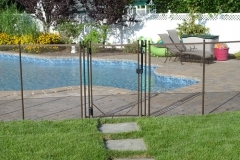 One of the focal points is on our patented removable gate. 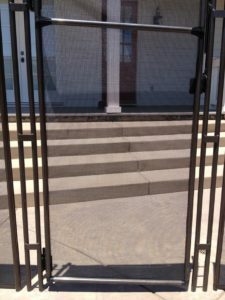 This gives you a visual of how well the gate fits into the fence and how it provides another layer of protection for your family. 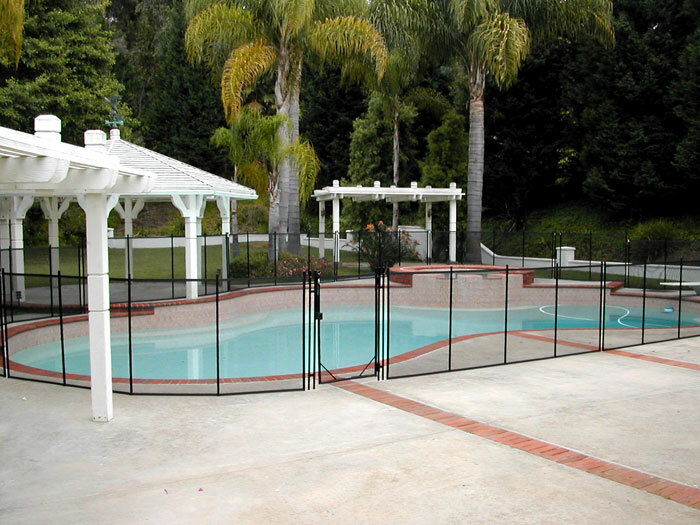 Our “do-it-yourself” pool fences go around the entire pool area to provide the best protection. There are not any easy access points or areas to climb the fence. These measures protect your family. 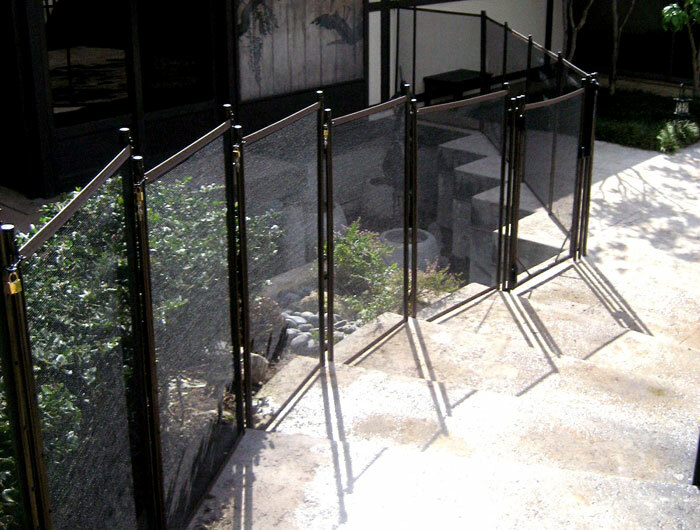 The ChildGuard ® DIY system is available in 4 ft or 5 ft heights. All ChildGuard ® screws and eye bolts are made from 304 stainless steel. We will coat both with a Teflon-like finish to match the color of your selected poles unless desired otherwise. Unlike paint, our finish will not peel. 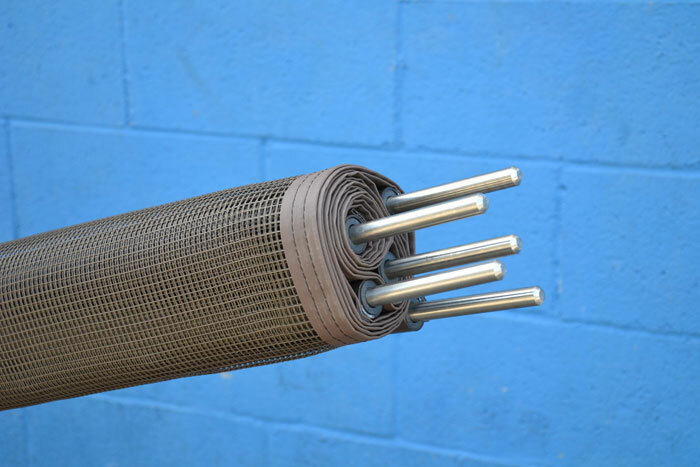 Our sleeves are made from a non-conductive high-density polyethylene (HDPE). 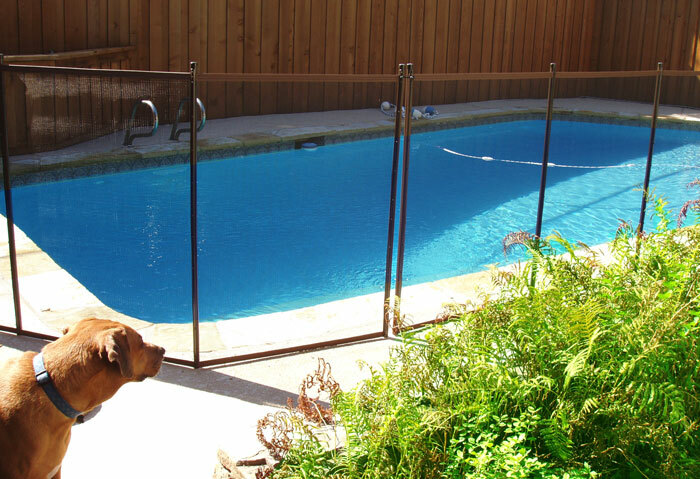 All ChildGuard ® Pool Fence Systems hooks and eyes are made from 304 stainless steel. BLACK TEFLON coated stainless steel hooks & eyes are used with dark colored poles and stainless steel finished hooks and eyes are used for light colored poles. We coat the hooks and eyes strictly for aesthetic reasons. Our Teflon color coat will not peel. Our padlocks are made of solid brass with a solid brass shackle. To prevent unauthorized removal of fence, padlocks can be used to lock adjoining fence panels, requiring a key for fence removal. The average pool fence needs between 10 and 15 padlocks. 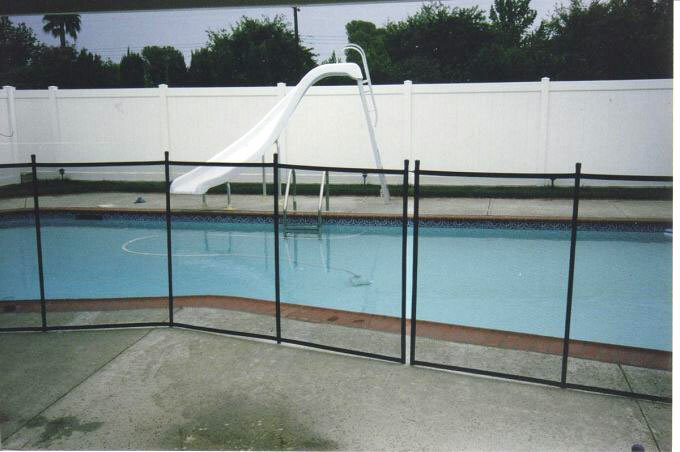 Every ChildGuard ® Pool Fence System comes with the option to install our patented self-closing gate. 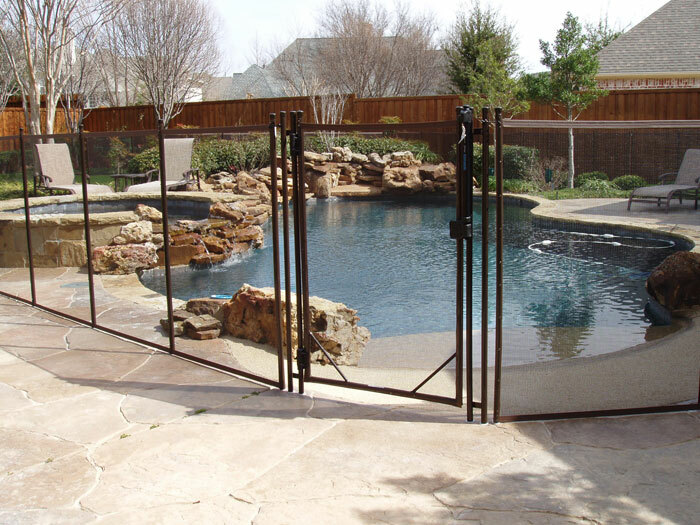 We use the best materials and hardware on the market to bring you the highest quality pool gate in the industry. 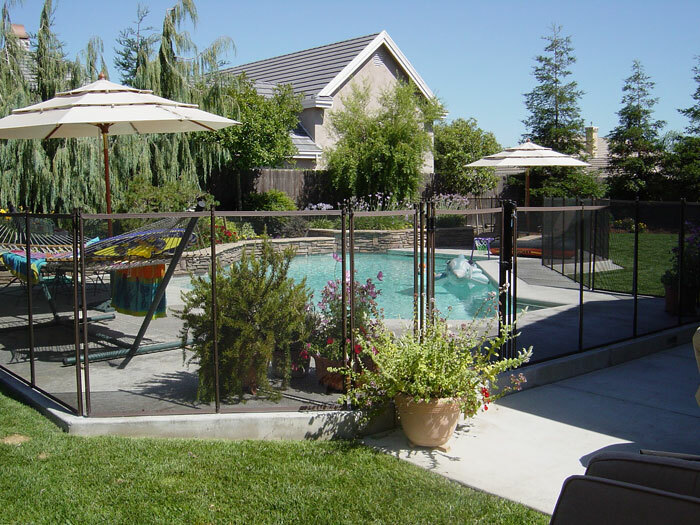 Climb-Resistant: ChildGuard ® has engineered the only gate with NO CROSSBAR. Not having a crossbar significantly decreases the likelihood of your child climbing over our gate because there is no place for them to gain leverage from. 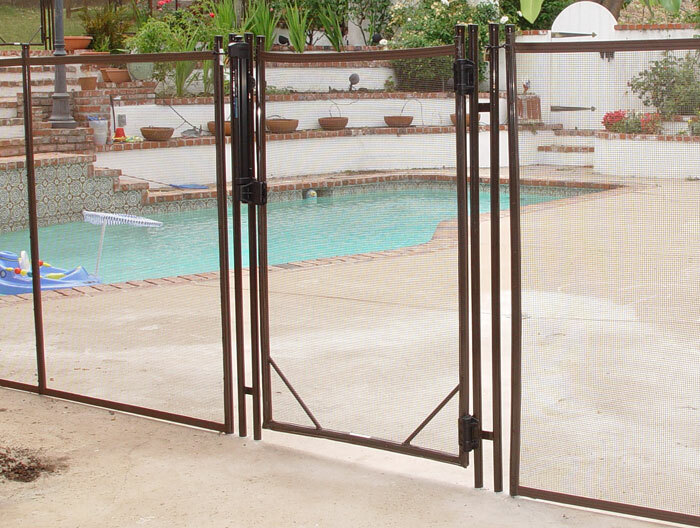 Instead of a crossbar, we designed our gate with trusses on each side to control gate tension. 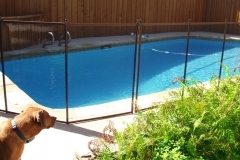 Our gate trusses are made from 6061 marine grade aluminum and can be powder coated in the same colors as our pool fence. 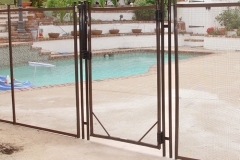 Self-Closing: Tru-Close hinges have long been the most reliable self-closing gate hinges on the market which is why we use them with every ChildGuard ® Gate. These hinges are tough, molded with a stainless steel torsion spring and coated with UV-Stabilized materials to provide you with hinges that won’t bind, sag, or stain. They are also easy to adjust, requiring only a screwdriver, and come with a 100% Rust-Free For Life guarantee. Self-Latching: MagnaLatch Safety Gate Latches were specifically designed for securing gates around swimming pools, yards, and child care centers. Combined with the self-closing Tru-Close hinges, they meet child safety codes because the latches will magnetically latch itself shut. This latch is also key-lockable and comes with a limited lifetime warranty. MagnaLatch is the original and is still the world’s best-selling magnetic latches on the market. 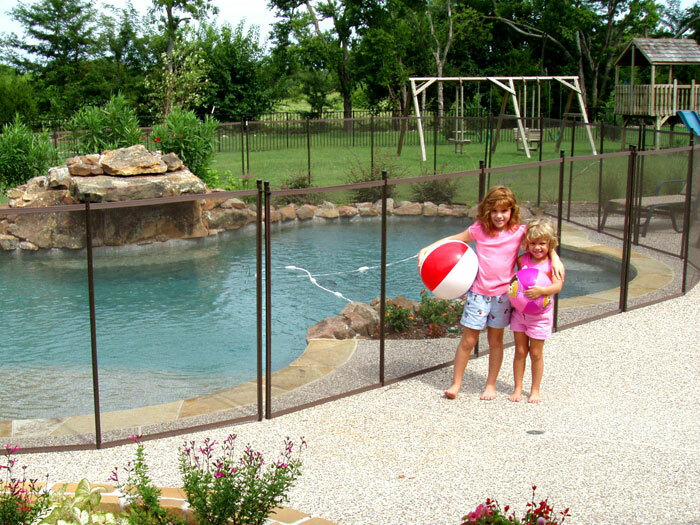 What age of child is this fence designed to keep out of the pool area? This fence is designed for toddlers age 1 to 4. 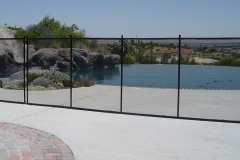 What is the best location for this fence to be installed? 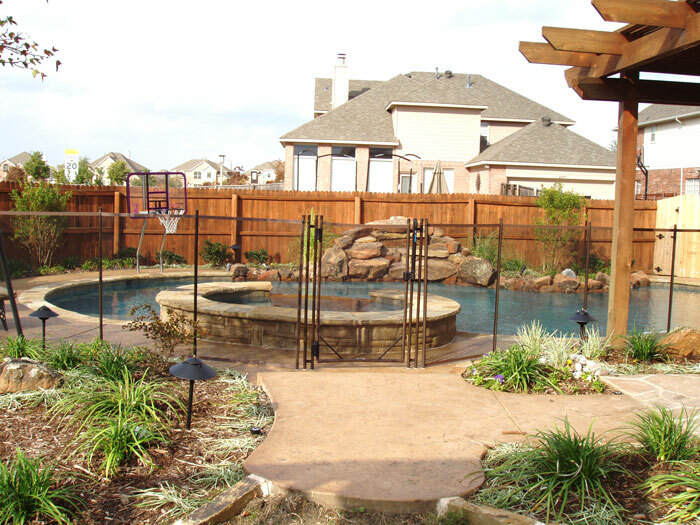 Depending on your back yard area, anywhere from 18″ to 36″ away from the inside edge of the pool. 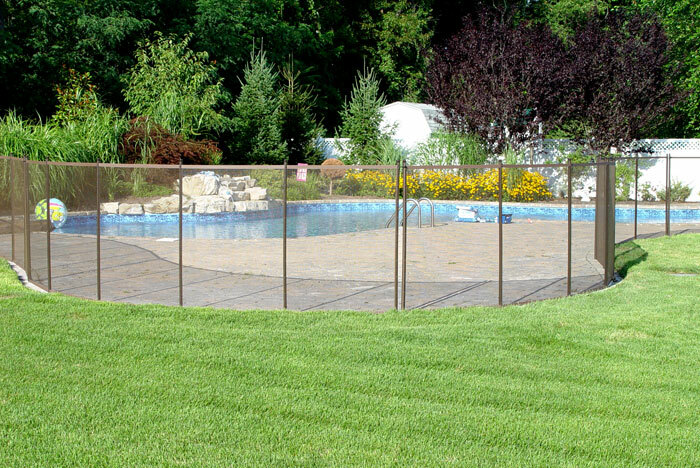 Can this fence be installed in the lawn? 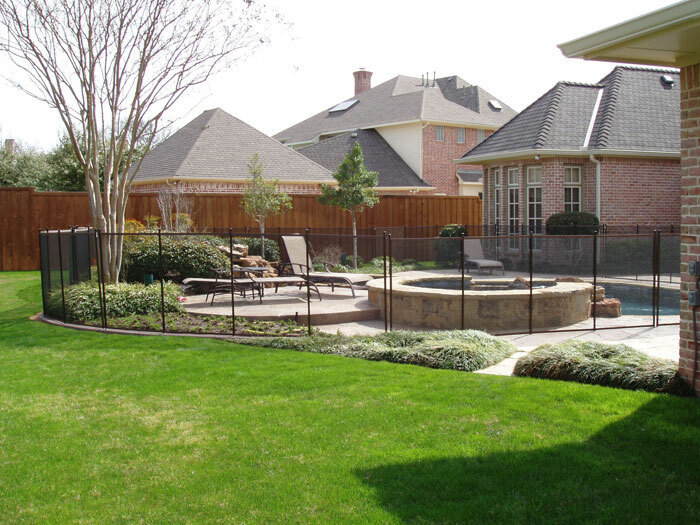 This fence can be installed in your lawn. 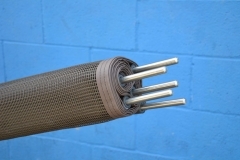 A 24″ long dirtspike is used in place of the deck sleeves used in deck installations. The dirtspike is driven into the lawn and the top of the dirtspike acts as the receptor sleeve for the stainless steel rod. This dirtspike is an optional item that can be purchased on our web site or by phone. Easy installation instructions are provided with every order. What equipment will I need to do the installation? You will need a Rotary Drill, 5/8″ masonry drill bit(s), tape measure(s) and other small hand tools (See Instructions). 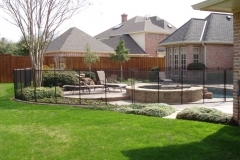 When I order my fence, what comes with it? 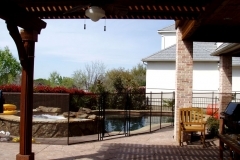 All necessary hardware is included to do a complete installation into your deck. How big are the holes I will drill in my deck? 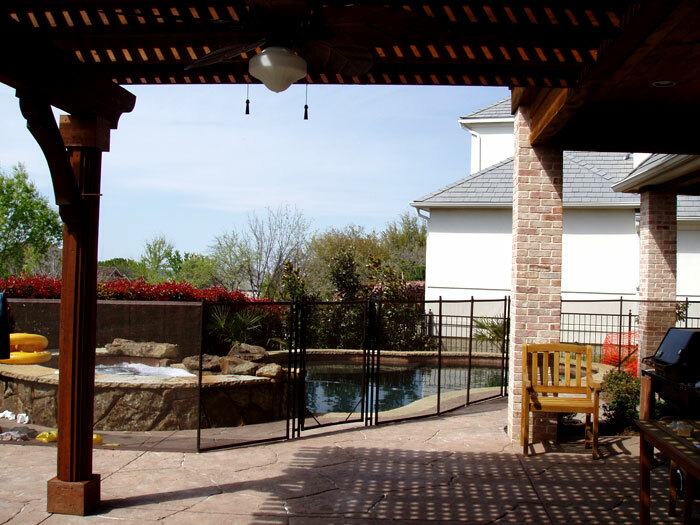 The holes for our system are 5/8″ in diameter and approximately 4″ deep. How many feet are in each section of fence? 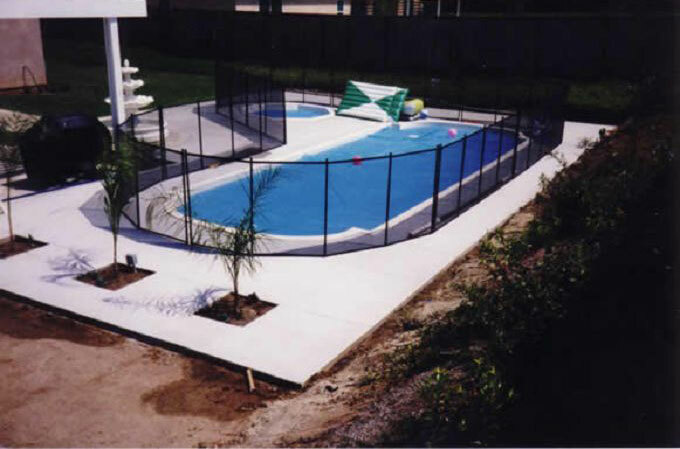 Each section is 12′ or 6′ long and weighs approximately 12 lbs or 8 lbs. What is the spacing between the poles? The poles are spaced at 36″ intervals. Each section has 5 poles. How safe is this fence? 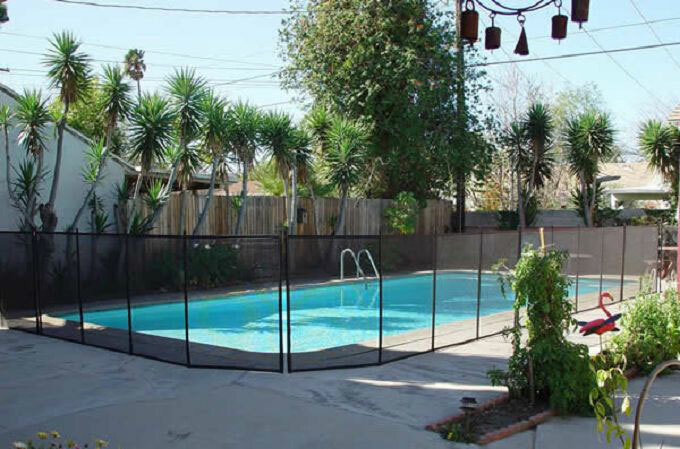 Our pool fence is the safest “do it yourself” system we have ever seen both structurally and mechanically. 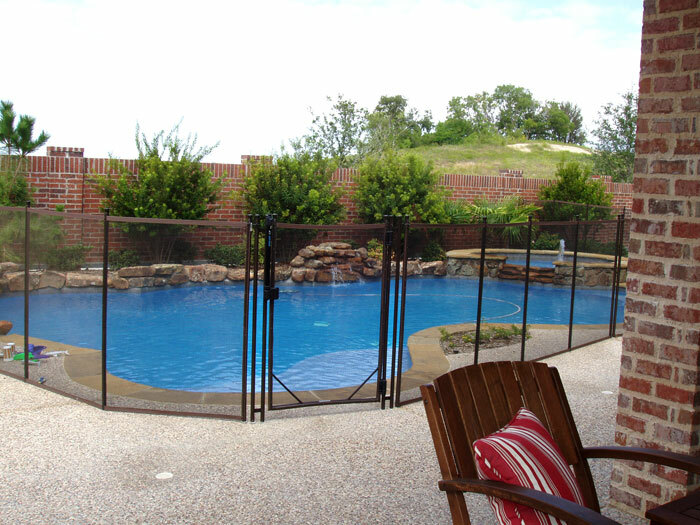 Our polyester mesh fabric is extremely strong and totally transparent. You will know where your children are and where they aren’t at one glance. 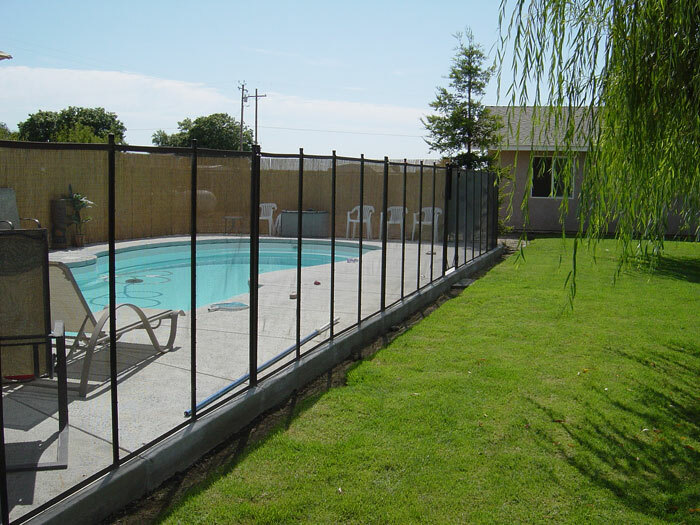 Our reinforced T-6 marine grade aluminum poles with stainless steel screws and 36″ pole spacing help keep this fence system tight, which in turn helps prevent children from penetrating this system. However, no system is 100% absolute. It is imperative for parents and guardians to understand that no system is a substitute for adult supervision. A 200 lbs. 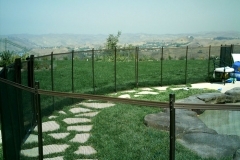 adult could lean against the fence, but the fence is designed for children not adults. What are the poles made of and do they rust? 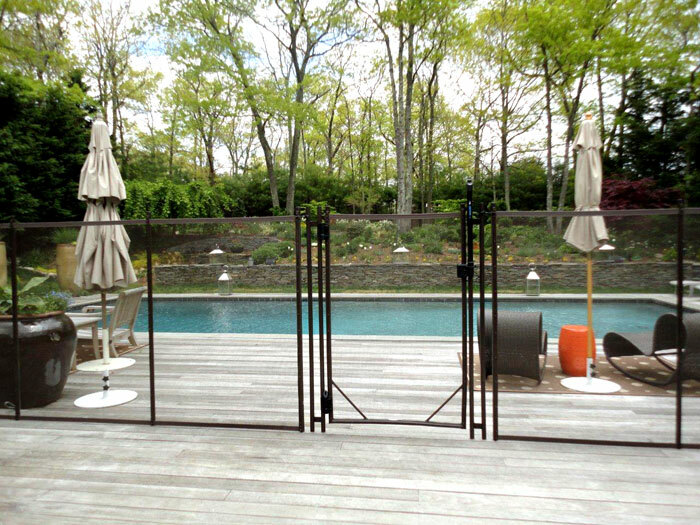 The poles are made of marine grade T6 aluminum, reinforced internally with Schedule 80 PVC pipe and a stainless steel pin. Nothing on this fence can rust. 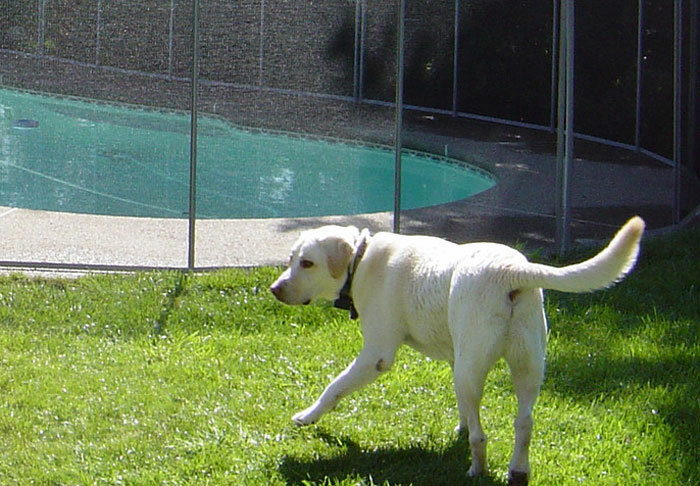 We recommend hosing the fence down as often as you wish with a good spray nozzle. A mild detergent or vinegar can be used to remove spots. Removal is very easy for any normal sized adult. Removal requires average height, strength and leverage that children don’t possess. Just follow the instructions! What is the life expectancy of the fence? Does it come with a Warranty? 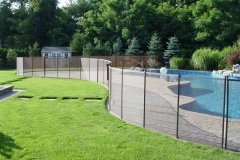 The fence comes with 6 year warranty to the original owner. How does this fence hold up against animals? 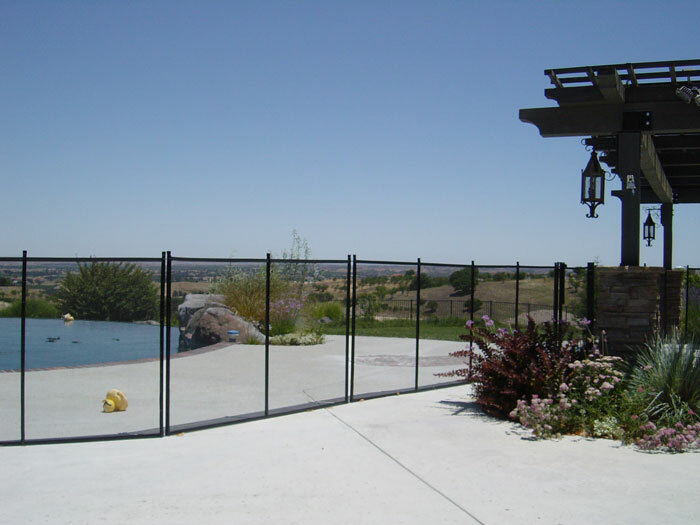 How fast can I expect to get my fence when I place my order? Orders are processed and shipped in about 4-5 business days. You can order ONLINE, or by E-Mail, by Phone or by Fax. 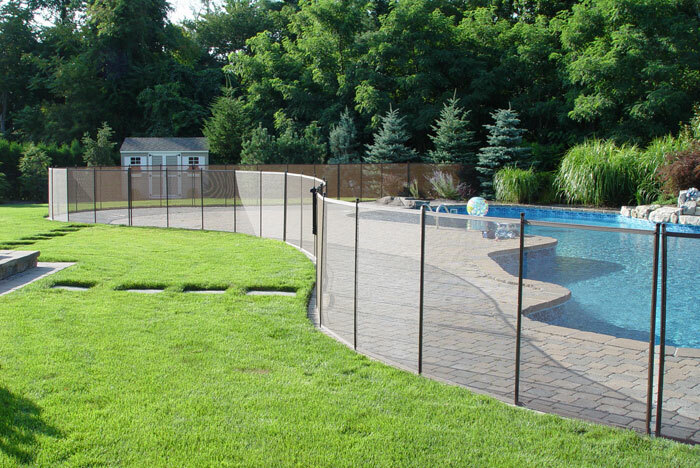 How is the fence shipped? We can ship product to you by UPS, Federal Express, or any other way you wish. We accept VISA, MasterCard and PayPal payments on our website. When you place your order over the phone we accept bank check or money order as well. 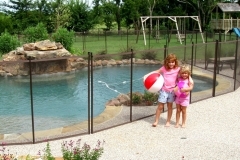 “I installed the fence this past Sat. You should tell prospects “its so easy a caveman can do it” (well if you would not get sued for it). The fence looks great we are very happy. Thanks for your time. Cheers Respectfully” – Bradley W. Miller, Ph.D.
“Simple to operate, easy to remove and set up.” – Donald Crays, NV. 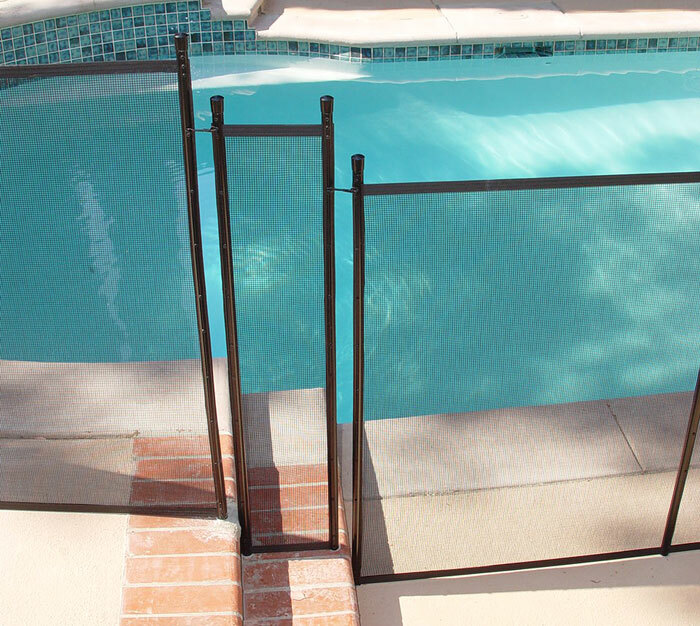 Our exclusive pool fence installation configurator will take you step-by-step to help you build your DIY pool safety fence and make the correct decisions you need for your own personal installation. 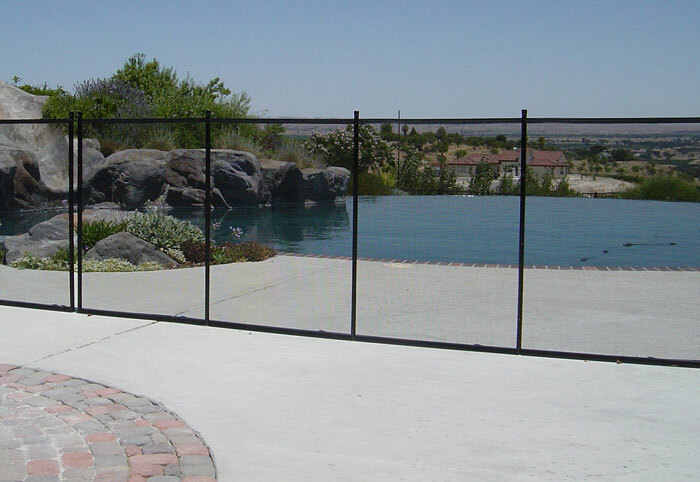 Every detail and process is covered with informative illustrations and instructions to make choosing the correct fence easy!